Redirecting to: www.famous-trials.com/saccovanzetti in (10) seconds. --Sacco, August 22, 1927, fifteen hours before he and Vanzetti were executed. Sacco was born Ferdinando “Nando” Sacco in Torremaggiore, Italy in 1891 to a fairly successful olive oil dealer. Some accounts say he either had no formal educationor dropped out at age nine; at trial he claimed he spent seven years in school and dropped out at age 14.He was an inquisitive boy with a love of machinery. Sacco emigrated to the United States in 1908 at the age of sixteen with his older brother Sabino, and the two settled in Milford, Massachusetts. He soon found a job working for the Cenedella Construction Company as a water boy for $1.15 per day. Three months later, he was promoted to pick-and-shovel (a fairly common job for Italian immigrants who referred to it as “pick ‘n shove”) for $1.75 per day. After it became too cold for outdoor work, Sacco went to work at the Draper Company doing textile work. Sacco’s brother Sabino returned to Italy in 1909. Left alone in the United States, Sacco began to take lessons on shoe-trimming and became an excellent shoe trimmer. He would practice this trade for the remainder of his unincarcerated life. In 1910, he went to work at the Milford Shoe Company where he would remain until 1917. Sacco met and married Rosina (Rosa) Zambelli in 1912. He was twenty-one; she was seventeen. Their first child, son Dante, was born in 1913, and their daughter Ines was born months after Sacco’s 1920 arrest. In 1912 Sacco helped with the defense of Arturo Giovannitti, an Italian immigrant who had been arrested on a dubious murder charge. It was one of his first radical activities. Sacco began attending weekly meetings of Circolo di Studi Sociali, a twenty-five member strong anarchist group, in 1913. He began to subscribe to Cronaca Sovversiva (Subversive Chronicle), an anarchist newspaper published by Luigi Galleani. Sacco became a devotee of Galleani and spent the next several years writing for the paper, donating and soliciting funds for anarchist activities, as well as caring for his family. In 1917, Sacco met Vanzetti shortly before the two, along with several other anarchists, moved to Mexico to avoid conscription for World War I. While living incognito south of the border, the anarchists took pseudonyms. Thus, Ferdinando Sacco became Nicola (after an older brother who had passed away earlier in the year) Mosmacotelli (his mother’s maiden name). While he later resumed using his own surname and occasionally was called Ferdinando, he was forever to be known as Nicola Sacco. He moved back to the United States a few months later and settled, with his family, in Stoughton, Massachusetts. He was living there when he was arrested in 1920 and became inexorably linked with Bartolomeo Vanzetti as Sacco-and-Vanzetti. “The blood of martyrs is the seed of liberty.” –St. Augstine. Vanzetti learned this quote as a youth and carried it with him throughout his life. Vanzetti was born in Villafelletto, Italy in 1888 to a a very loving mother and a fairly prosperous farmer who would later open a café. He loved his parents very much and did as much as possible to win their affection and approval. He was a bright and spiritual lad who William Thompson, his lawyer decades later, said would have been a Harvard professor had he received an education. Instead, his father took him out of school in 1901 at the age of thirteen to begin an apprenticeship. His father apprenticed him to one Signor Comino, the owner of a pastry shop. Vanzetti worked fifteen hour days, seven days a week, with three hours off every other Sunday. He hated the job but continued at it to please his father. After seven years of work in the pastry shop, Vanzetti was afflicted with pleurisy, a condition that inflames the membrane around the lungs and makes breathing very difficult. In 1907, while convalescing, Vanzetti read voraciously, particularly philosophy and religious works. Almost immediately after recovering, Vanzetti’s mother contracted cancer and died in Vanzetti’s arms. Vanzetti never truly recovered from his mother’s death and was never emotionally close to another woman the rest of his life. To deal with the pain, Vanzetti set out for the United States in 1908. He arrived in New York city and began working in restaurants and clubs throughout the city. Vanzetti left New York in 1909 to seek work in the countryside, eventually making his way to Springfield, Massachusetts and working in a brick factory. He then bounced around Connecticut and Massachusetts, all the while working at various jobs and living a solitary existence. In 1909, he went back to New York and worked as a pastry chef at various New York eateries where he was at the mercy of head chefs and employment agencies. The chefs and employment agencies had agreements whereby chefs would fire workers so the workers would be forced to go to an employment agency for a new job and the agents and head chefs would split the fee. Living in New York, Vanzetti went five months without a job and was forced to sleep outside and put newspaper in his clothes to stay warm. In 1912, however, Vanzetti found an employment agency that sent him to Springfield, Massachusetts again, this time as a pick-and-shovel man. Though it was hard, back-breaking work, it was outdoor work, which Vanzetti far preferred over working inside. Vanzetti continued to read. After reading books on poltical philosophy, he moved toward anarchism. He soon found his first anarchist comrades and began receiving the Cronaca Sovversiva, the same anarchist newspaper that Sacco read and wrote for. Vanzetti moved to Plymouth, Massachusetts in 1913 where he lived with Vincenzo Brini and became a virtual member of the Brini clan. He stayed in Plymouth until 1917, when he and some of his fellow anarchists left for Mexico to escape the draft. Strangely (for an anarchist who does not like government or the idea of “country”), he applied for United States citizenship May 5, 1917, just a short while before leaving for Mexico. While in Mexico, he supported the group by once again practicing the trade he hated—baking—and grew his now famous long, droopy mustache. Vanzetti left Mexico in September of 1917 and moved around the Midwest for a time before he found his way back to the Brinis in Plymouth, Massachusetts. He took up fish peddling, a profession which allowed him to be in his beloved outside all day long, and continued his anarchist activities. He continued living this way until his 1920 arrest with Sacco. “Get the hell out of here.” -- to the court stenographer who had tried to record a sidebar discussion during the Dedham trial. “You wait till I give my charge to the jury. I’ll show ‘em!”—to a table of dinner companions during the Dedham trial. Born in 1857, Webster Thayer was an 1879 graduate of Dartmouth College and a former newspaper man. He was appointed a judge of the Superior Court of Massachusetts in 1917 and served as judge for the Dedham trial, Vanzetti’s separate trial for the botched Bridgewater hold-up, and the post-trial motions that Sacco and Vanzetti made for a new trial. In 1920 he rebuked a jury for acquitting an anarchist (Sergie Zuboff) of violating a criminal anarchy statute. Jurors in the Sacco-Vanzetti trial, however, were almost unanimous in praising Thayer for the way he conducted the trial. Reading the transcript, one sees few signs of obvious bias. What is most striking, perhaps, is Thayer's baroque oratory, as in his charge to the jury: "Let your eyes be blinded to every ray of sympathy or prejudice, but let them ever be willing to receive the bountiful sunshine of truth...."
Buda was a small, balding man nicknamed Nasone (“Big Nose”). He was an immigrant from Savignano who came to the United States in 1907. He was an ardent anarchist who was involved in much of the Massachusetts anarchist activity. He met Sacco during the Hopedale Strike of 1913 and Vanzetti three years later in Plymouth during a Cordage Strike of 1916. Buda was accused of being a co-felon with Sacco and Vanzetti in the South Braintree hold-up and was questioned by Police Chief Stewart (to whom he was Mike Boda). He escaped prosecution by going on the lamb. On September 11, 1920, Buda detonated a horse-and-buggy bomb at the corner of Wall and Broad Streets in Manhattan in protest of Sacco and Vanzetti’s arrest. 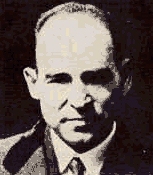 Orciani was an anarchist implicated in the Braintree hold-up with Sacco and Vanzetti. He had gone with Sacco, Vanzetti, and Buda to the Johnson’s garage--allegedly to conceal anarchist literature that was in Buda’s car (which was stored in Johnson’s garage). Orciani was released because his timecard indicated that he was at work during the hold-up. He did, however, attend the trial as a spectator. He also worked as a chauffeur for Fred H. Moore. Katzmann believed Orciani to be one of the five members of the Braintree robbery gang, but because of the difficulty of overcoming Orciani's timecard evidence (Katzmann believed that Orciani probably had a friend punch in for him), he decided not to prosecute. Moore was the original lead defense attorney for Sacco during the Dedham trial. He was a Californian who had a reputation for successfully defending radicals. Moore was not, however, well versed with Massachusetts law or procedure. In fact, he had never before tried a case in Massachusetts and would never do it again. He withdrew from the case shortly after the trial, which pleased Rosa Sacco, who disliked him from the beginning. In 1983, it was revealed by the son of one of the original group of four that hired him as defense lawyer that Moore was a cocaine addict, and had to be constantly supplied with the drug throughout the course of the trial. The McAnarneys were counsel for Vanzetti during the Dedham trial and were well-known lawyers in Norfolk County. Thomas was a local judge who was appointed by Calvin Coolidge when Silent Cal was governor of Massachusetts. They had an older brother, John, who was generally regarded as a superior attorney to the two of them. John declined taking the case due to other business, but did help his younger brothers with trial strategy. Thompson took over Sacco and Vanzetti’s defense after Fred H. Moore withdrew from the case. Thompson, by most accounts, was a conservative and prominent Boston attorney who had been a council member of the Boston Bar Association. Some in the Defense Committee had wanted Thompson to handle the case in trial court rather than Moore. Thompson argued the post-trial motions before the Supreme Judicial Court of Massachusetts in January of 1926. Coacci was an Italian anarchist and worker in a Bridgewater shoe factory scheduled for deportation on April 15, 1920, the very day of the Braintree crime. He failed to show up for his scheduled deportation, falsely claiming that he had to take care of his sick wife. He was eventually deported on April 18, and, according to accounts, was all too happy to leave the country. Later, as authorities considered the coincidence of Coacci's not showing up on the 15th for deportation and eyewitness accounts of an Italian gang being involved in the Braintree crime, some began to suspect that Coacci may have been involved in the crime. Investigators visited Coacci's rundown house in Cocheset (rented by his friend Mike Boda) looking for evidence. The search eventually led to suspicion of Boda, and finally to the arrests of Sacco and Vanzetti. Katzmann believed that the Braintree gang included Coacci in addition to Sacco, Vanzetti, Boda, and Orciani. Madeiros was a Portuguese immigrant with a criminal record who had been convicted of murder. He was in the Dedham jail with Sacco. He sent Sacco a note in November of 1925 indicating that he, as a member of the Morelli gang, had been involved in the South Braintree hold-up and affirming that Sacco and Vanzetti were innocent of the crime. A motion for new trial was based on his confession. He was executed with Sacco and Vanzetti. The Morelli Gang was a gang of Italians who robbed freight cars in Rhode Island and Massachusetts. The gang was led by Joe Morelli and included his brothers Mike, Patsy, Butsy, and Fred as well as Bibba Barone, Gyp the Blood, Mancini, Celestino Madeiros, and Steve the Pole. The Morelli Gang is believed by some people to have committed the South Braintree hold-up for which Sacco and Vanzetti were executed. 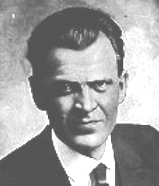 The theory was developed and strongly pushed by post-trial defense lawyer Herbert Ehrmann. Madeiros confessed to having committed the crime, witness descriptions of the perpetrators generally fit the gang, Mike drove a Buick (the make of car used in the hold-up), Joe had a 32 Colt (the kind of gun that killed Parmenter and Berardelli). The gang was suspected by the police of New Bedford until Sacco and Vanzetti were arrested.